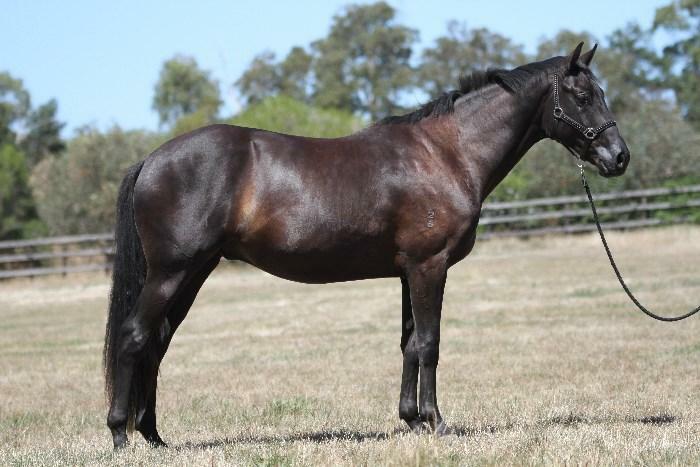 FLASH S born 26/10/2015 A charismatic Hanoverian gelding with a lovely quiet temperament. 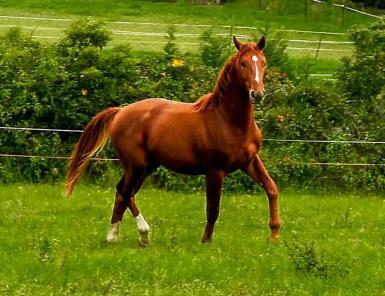 Shows an uphill canter, so balanced. 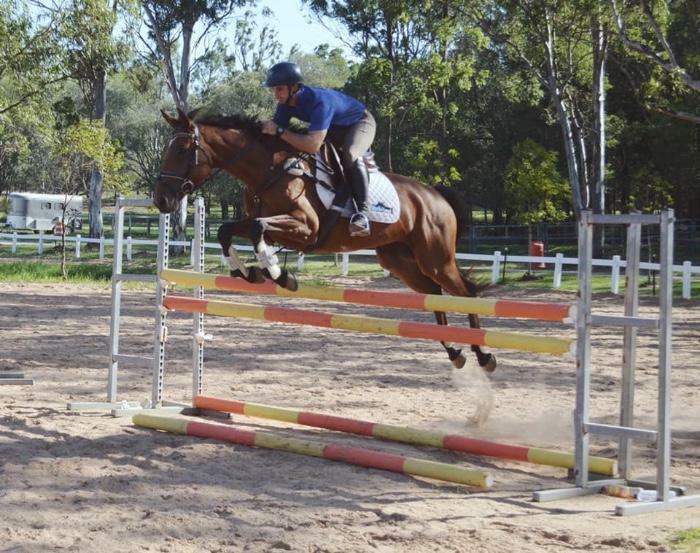 He pushes well off the ground in trot showing cadence and expression. Easy to handle, trim, paste etc in the paddock. 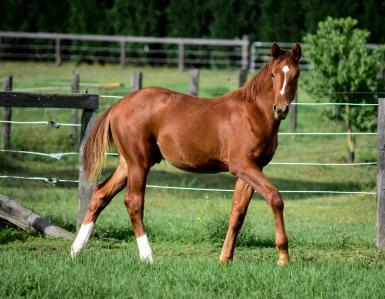 Super elastic movement,, super paces, super bloodlines, beautiful type! Perfect time to start breaking in process. 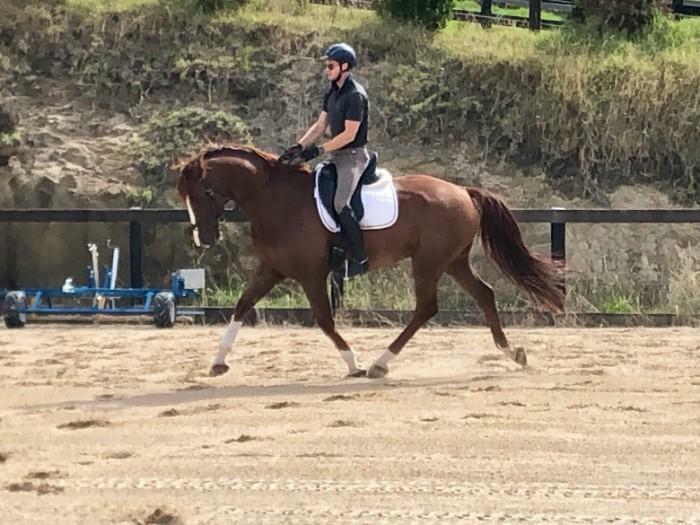 Sire is Foundation (Hanoverian) by Fidertanz/De Niro bloodlines, he finished his 30-day test with dream marks: twice a 10,0 for trot and canter in the final examination, a 9,5 for character and willingness to perform and a 9,25 for rideability. 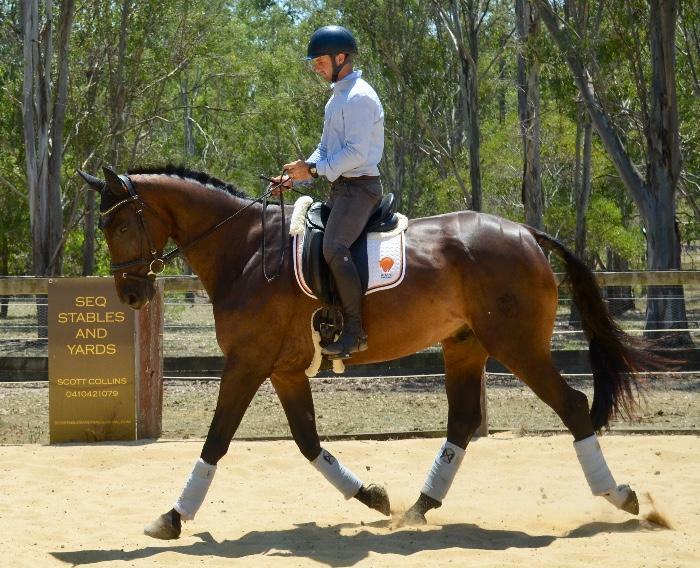 With an average mark of 9,13 for character and 9,57 for trot and canter. 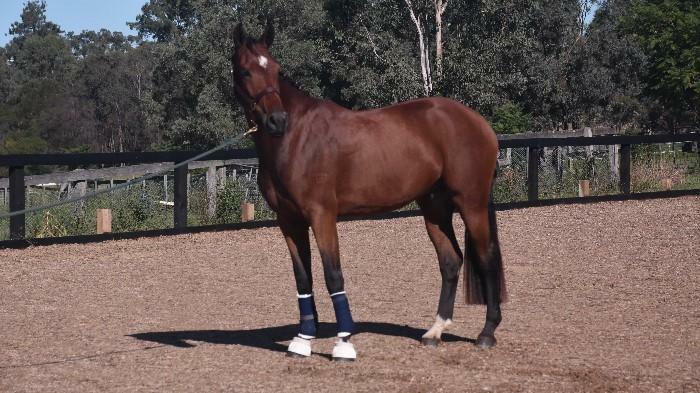 After his 30-day test and his first crop of foals, Foundation was the undisputed Ia-main premium champion of the stallions with emphasis on dressage. 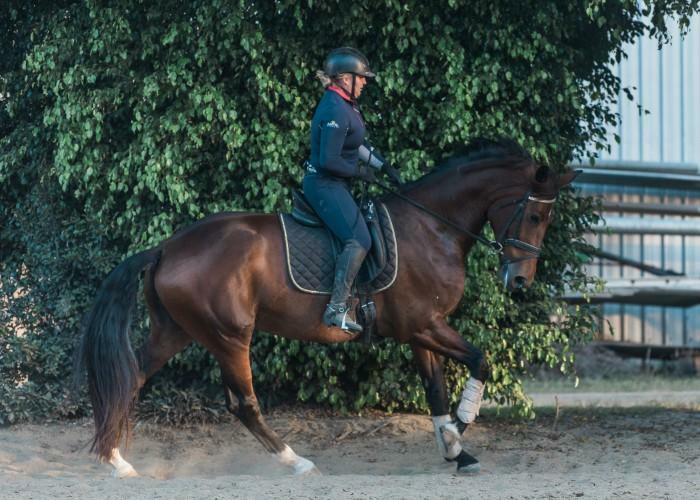 Foundation, who is a very young competition stallion only 8 years, recently won Prix St George in Nice over 70%. Just this October at Mallorca achieved 75% in Inter 1. Consistently winning in Europe. 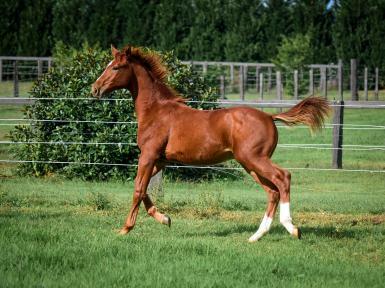 Such a young stallion producing fantastic moving foals. Ridden by Matthias Rath. 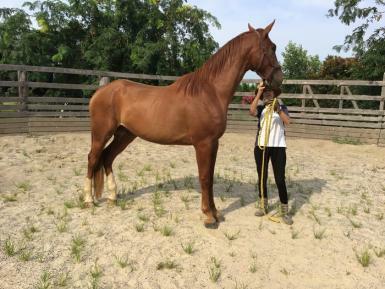 His Mother, Hansa Rea Royale is by Rascallino out of a Weltmeyer mare. She moves like a dream. She is well mannered and super with her foal. 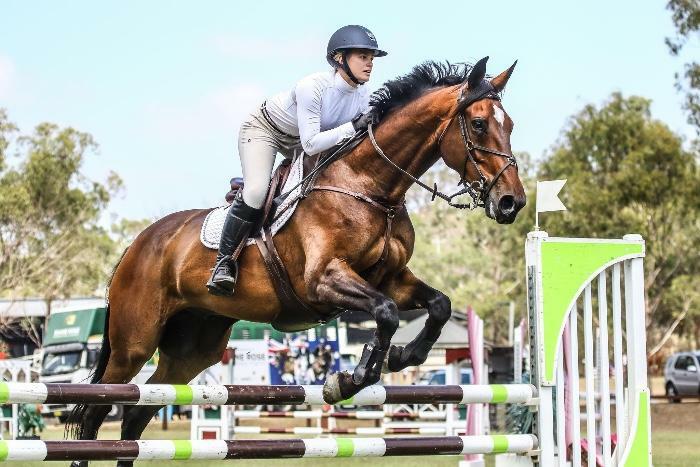 Her previous two foals have both been classified in the top 10 Hanoverian foals in Australia for their year by the German Hanoverian classifier. 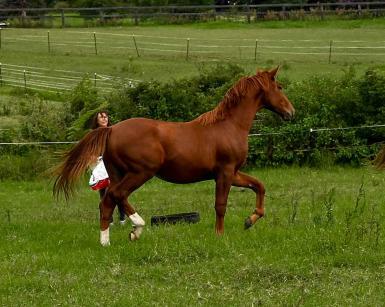 Flash was a silver winner, commended for his conformation, a really super type young Colt. 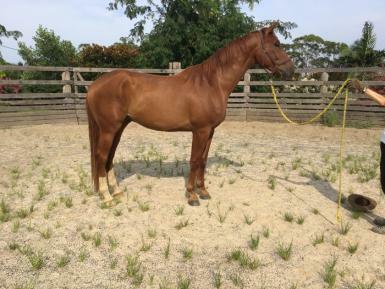 He is a dressage prospect bred for trainability, temperament and movement for amateur or professional rider. 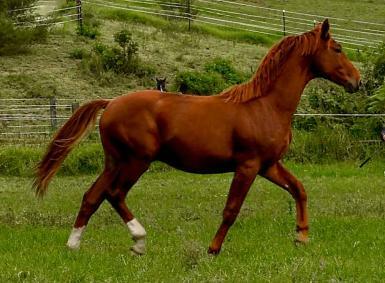 Sporthorse.biz for more information.